Feb. 9, 2017 -- Die-hard smokers often turn to electronic cigarettes (e-cigarettes) to help them cut down on regular cigarettes or quit altogether. A new study from the UK has found that e-cigarette users, compared with those who smoke regular cigarettes or use both, have dramatically lower levels of cancer-causing agents and toxins than those who smoke cigarettes alone. "E-cigarettes are definitely safer than continuing smoking," says study author Lion Shahab, PhD, senior lecturer in health psychology at University College London. He says it is the first long-term look at exposure to e-cigarettes, battery-operated devices that heat up and vaporize nicotine, compared with regular tobacco cigarettes. The study didn't look at whether e-cigarettes help people quit regular cigarettes. Smokers who also used nicotine replacement. The researchers collected urine and saliva samples and analyzed them for levels of nicotine as well as toxins and cancer-causing agents present in tobacco smoke. Those who smoked only e-cigarettes had levels of carcinogens similar to those using nicotine-replacement therapies — and much lower levels than people who only smoked cigarettes or those who smoked both regular and electronic cigarettes. In a 2015 report, Public Health England said e-cigarettes are 95% less harmful than smoking. The CDC says that e-cigarettes can benefit public health if adult smokers stop using tobacco completely and vape instead, says spokesman Joel London. The benefits of e-cigarettes are reduced if the person smokes even a few regular cigarettes a day. While the CDC acknowledges that e-cigarettes generally give out lower levels of dangerous toxins than combusted cigarettes, it notes, ''in addition to nicotine, e-cigarette aerosols can contain heavy metals, ultrafine particulate and cancer-causing agents like acrolein." And they’re never good for young people, the CDC says. Another study out this week showed that e-cigarette liquids can contain toxic and potentially cancer-causing metals. The American Lung Association says it’s “concerned about the potential health consequences of electronic cigarettes” and calls claims they help smokers quit "unproven." Research on smoking e-cigarettes to help you quit is mixed. In one study, researchers polled more than 4,400 Arkansas residents and found that e-cigarettes did help some quit smoking. But most smokers who had smoked in the previous 5 years and who tried e-cigarettes did not quit. Of the more than 1,000 people who were current smokers or reported quitting in the past 5 years, more than half said they used e-cigarettes. Of those, 80% continued smoking. Another recent study focused on smokers with chronic obstructive pulmonary disease (COPD) and found that those who used e-cigarettes reduced their use of regular cigarettes. 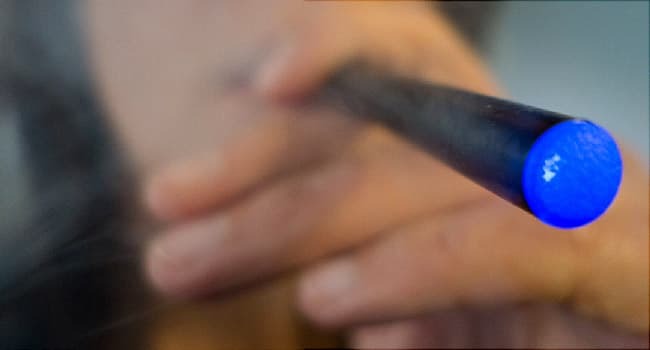 Many e-cigarettes also contain nicotine, the same addictive substance found in cigarettes, and the amount of nicotine found in them may vary, according to the American Lung Association. ''These findings haven't changed our stance on e-cigarettes, but have helped to address some unanswered questions about long-term safety,” says George Butterworth, tobacco policy manager for Cancer Research UK, which funded the study. Cancer Research UK supports a ''balanced approach'' toward nicotine-containing products such as e-cigarettes, in the hope they will help people quit smoking, and invests in e-cigarette research to find out more, he says. "Research into how e-cigarettes can help people quit smoking is hugely important," he says. "We support evidence-based policy and hope other organizations also develop their own positions based on the available evidence." Lion Shahab, PhD, senior lecturer in health psychology, University College London. Shahab reports grants from Pfizer for unrestricted research funding to study smoking cessation and personal fees from Atlantis Health Care outside the submitted work. Co-authors report fees from Johnson & Johnson, Pfizer, and GlaxoSmithKline. Annals of Internal Medicine: "Nicotine, Carcinogen, and Toxin Exposure in Long-Term E-Cigarette and Nicotine Replacement Therapy Users: A Cross-Sectional Study." Statement, Cancer Research UK, Feb. 8, 2017. Public Health England: "E-cigarettes: An evidence update." CDC: "Current Cigarette Smoking Among Adults in the United States." American Lung Association: "Statement on E-cigarettes." Respiratory Research: "Evidence for harm reduction in COPD smokers who switch to electronic cigarettes." Public Health Reports: "Electronic Nicotine Delivery Systems and Smoking Cessation in Arkansas, 2014."